After our posts about Haiti over the last few weeks, many readers have responded with their own stories of how God is working in that country. One such reader was Trish Moneyhon. After talking and exchanging emails, we asked her to share a little of her story here to encourage other readers. My husband, Dennis, and I made our first journey to Haiti in 2008. God really broke our hearts and deeply implanted a love for our brothers and sisters there. 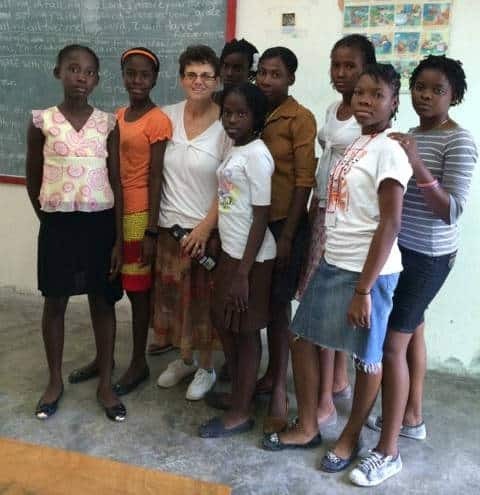 A few weeks ago we led a team to do a VBS in Cite Soleil, a slum area of Port-Au-Prince. There were 150 children plus 51 VBS helpers which ranged in ages 14 to 23. 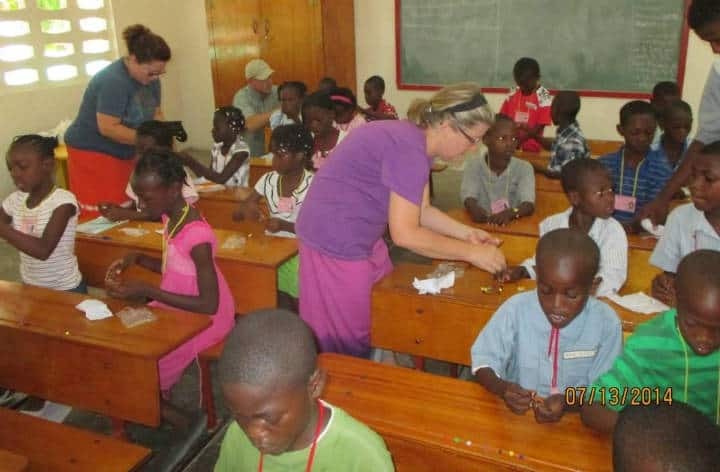 The children registered to attend VBS the entire month of July. This year, of the 150 registered, approximately 90 children do not regularly attend church. The VBS allows the children to be off the streets, learn about the love of Christ and eat every day! There are generally 5 areas: bible lesson, memory verse, music, crafts, and recreation. One of the things we try to do in crafts is make sure we make it useful for them. For example: sunglasses, visors, t-shirts, and flip-flops. Other projects our team accomplished were: funding and help start construction of a building to surround a new water treatment/well. This will provide safe, clean water for the neighborhood. We also painted a house in the neighborhood of Cite Soleil and one in Terra Noire; we painted at the school also. We would love to hear your stories about VBS mission trips or answer more questions about how God is working in Haiti. Just leave a comment below. If you are thinking about a mission trip to Haiti, be sure to learn some Haitian Creole phrases to show respect while you minister. Tony Kummer (Editor) reviewed & updated this page on : March 15, 2019 at 10:01 pm. All our content is peer reviewed by our readers, simply leave a comment on any post suggest an update.